Question of the Month: What are the major EVSE networks? Question of the Month: What are the major electric vehicle supply equipment (EVSE) networks, and how can plug-in electric vehicle (PEV) drivers access their stations? What are the costs associated with each network? Most PEV charging occurs at home, but for those who have a need to charge at a public location, it’s important to understand available charging networks. 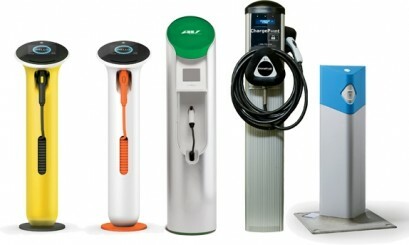 While EVSE networks and charging infrastructure are frequently evolving, the major networks currently include AeroVironment, Blink, ChargePoint, GE WattStation Connect, Greenlots SKY, NRG eVgo, SemaConnect, and Tesla. Each network has a unique model, with the most common approaches being monthly subscriptions, pay-as-you-go (i.e., pay per charge), and free (free to charge and no subscription fee required). To determine which charging networks have EVSE along your regular routes and close to your frequent destinations, use the Alternative Fuels Data Center (AFDC) Station Locator (http://www.afdc.energy.gov/locator/stations/) and the Plan a Route function (http://www.afdc.energy.gov/locator/stations/route/). Select a station, click “more details,” and refer to the “electric charging network” field. Please note that many public EVSE are not networked and do not require specific access cards. For detailed information on each charging network, see below. Access: Monthly subscription, pay-as-you-go. To start charging with the Greenlots SKY network, download the Greenlots mobile application, which will allow you to search for stations, view real-time status and pricing, and choose between a prepaid monthly subscription or pay-as-you-go. Access:Pay-as-you-go, free. You do not need to be a member to use the OpConnect stations or third-party stations on the OpConnect Network. You can sign up for a free account via the OpConnect website. You can request and receive a free OpConnect access card in the mail. For stations that charge a fee, you can use an OpConnect card, credit or debit card, smartphone app or your account email or phone number. OpConnect cards require a prepaid balance added to them via the OpConnect website.